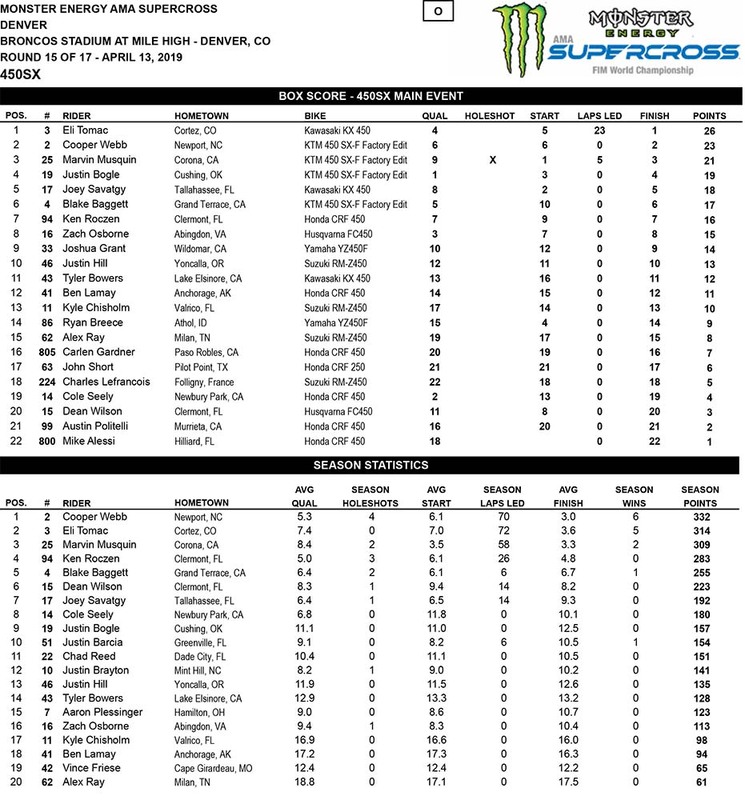 The season-long points battle between the 250SX West riders was a slim 5 point margin coming to Denver. 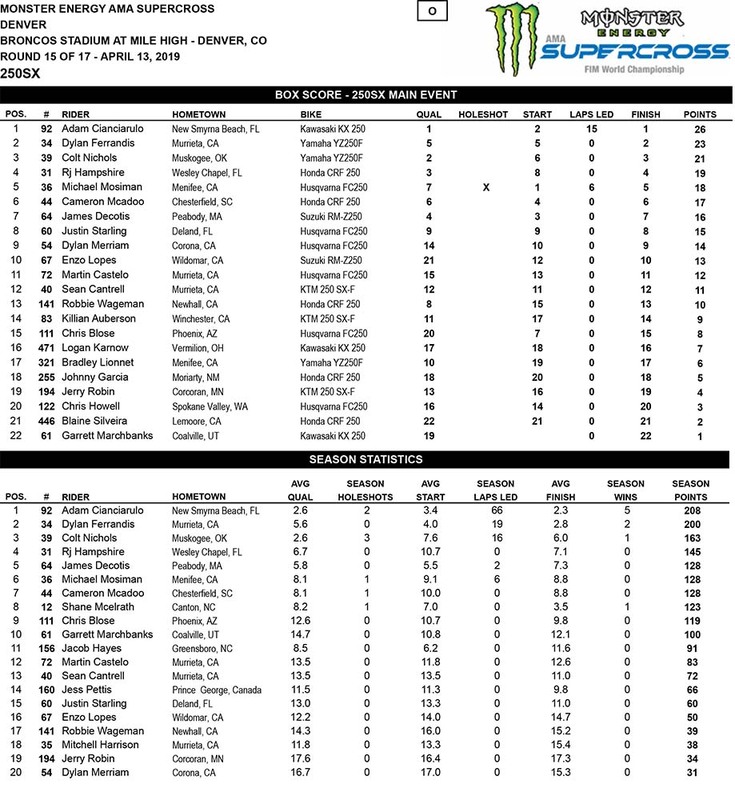 Adam Cianciarulo(92) led Dylan Ferrandis(34) with every other rider on the circuit out of contention for the points title. 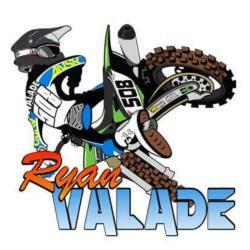 Cianciarulo, the 5-time winner this year, qualified 1st, won his heat and led every lap of the 250SX Main. Ferrandis had to work his way through a few riders to get to 2nd, but never could make a run at Cianciarulo. The victory stretched Cianciarulo’s point lead by three, 208 to 200 over Ferrandis heading into the May 4th Championship event at Las Vegas. 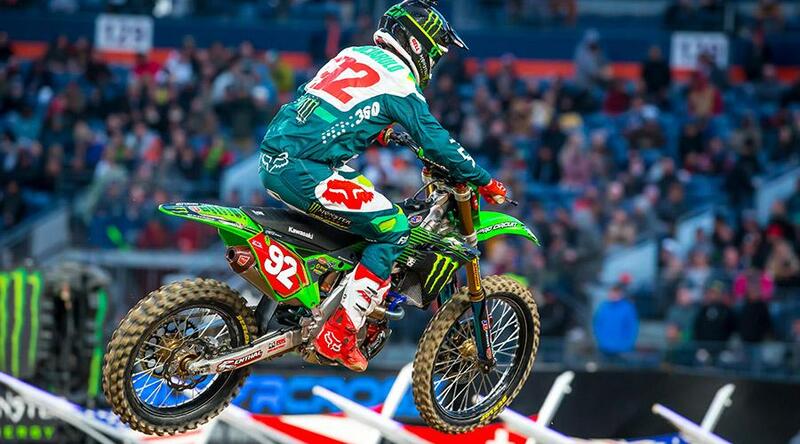 Eli Tomac(3) continued his late-season run and kept his slim title hope alive with the win at Denver. Riding before his hometown fans, Tomac had to chase down Marvin Musquin(25) who earned the holeshot and led the first 5 laps. Points leader Cooper Webb(2) rode a solid moto and took the 2nd position. Musquin finished 3rd. 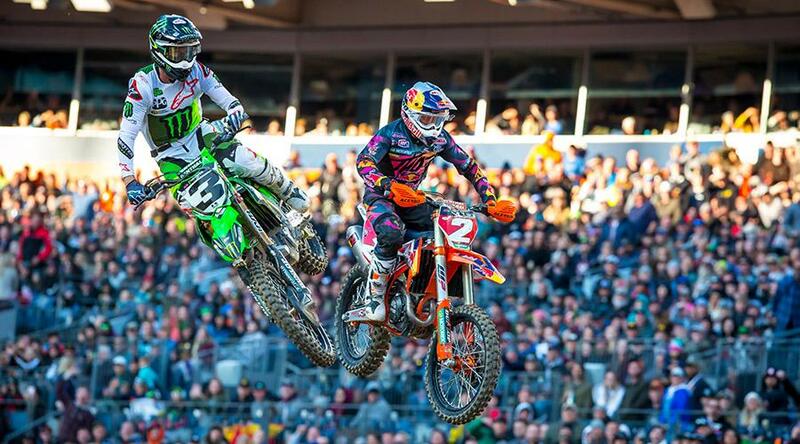 While Tomac gained 3 points on Webb in the season-long standings, he still trails 332-314. Musquin dropped 2 points to Webb and trails by 23, virtually eliminating himself from title contention. Next week it’s the Easter break, then the series picks up again at East Rutherford on April 27. Before concluding in Las Vegas on May 4th.